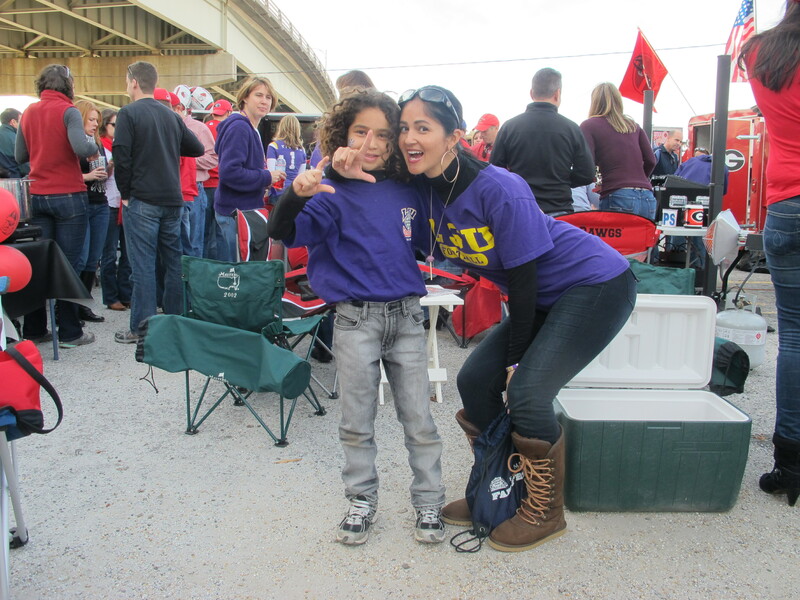 There are many ways for Moms to bond with our sons. Some like mommy and me classes, date night, and movie night. 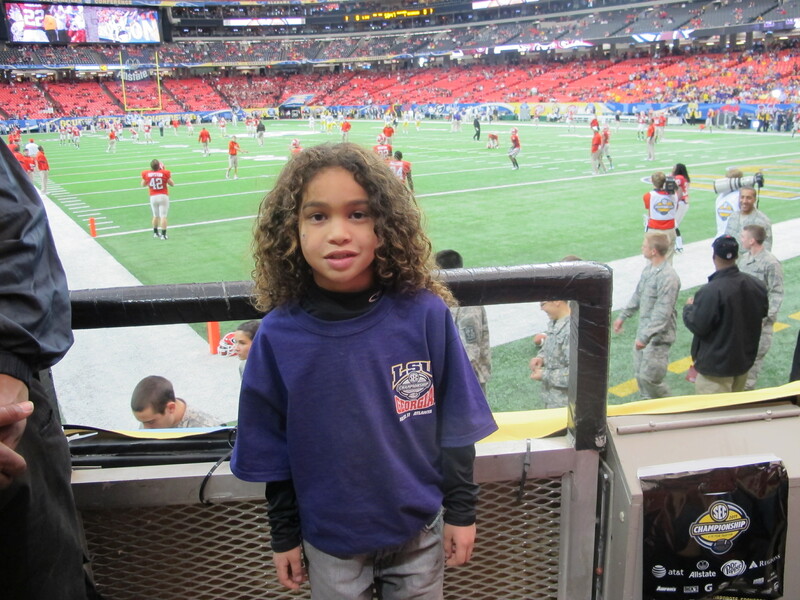 Those are all great, but one of my fave bonding experiences with Mo was taking him to the 2011 SEC Championship Game (because all moms do that w/our sons, right? lol). 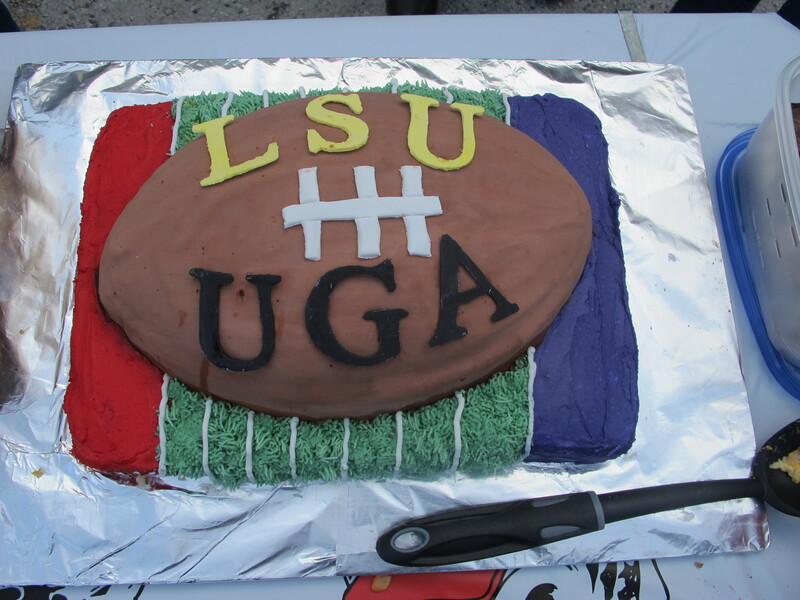 Since I love college football, atteneded LSU and UGA, and am an Atlanta native, it seemed like a no brainer. 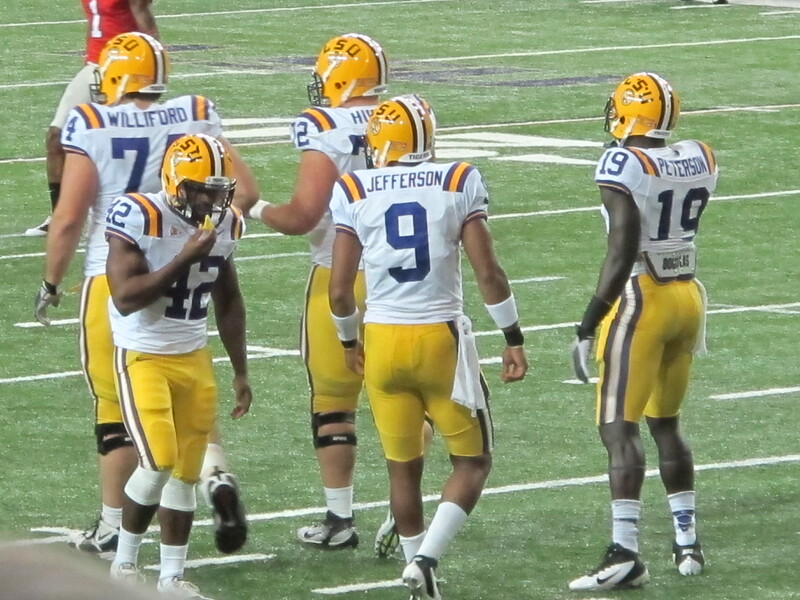 LSU is my fave football team in the whole world. 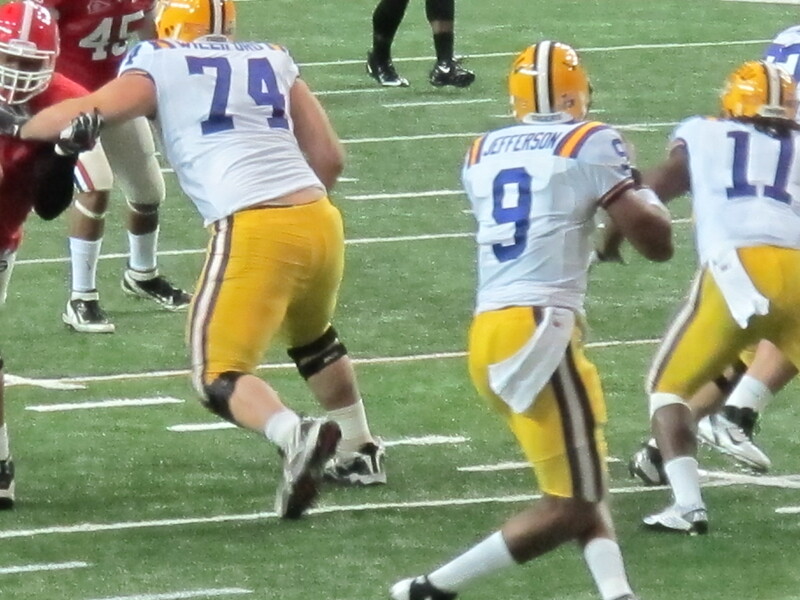 Mo’s mom great football sense has steered him to cheer for the mighty LSU Tigers (betta had). 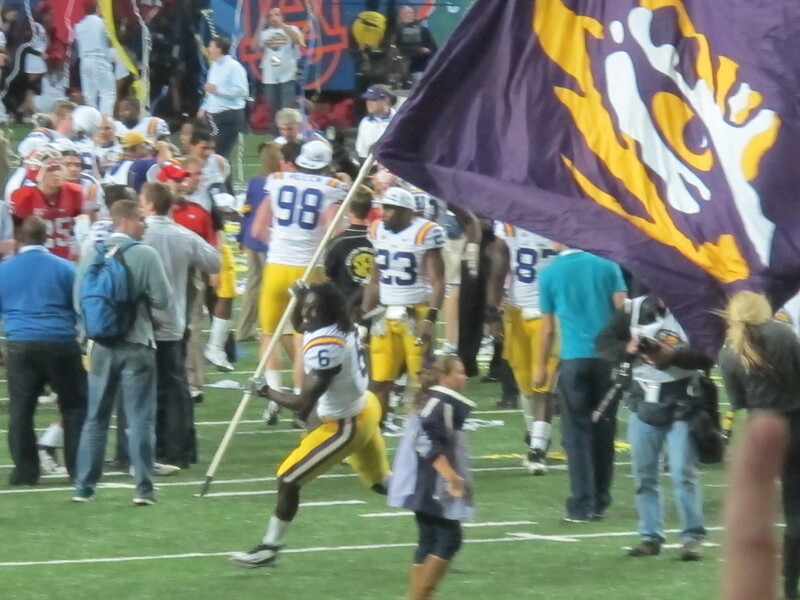 We’ve had a couple of LSU football parties and he loves watching the games. 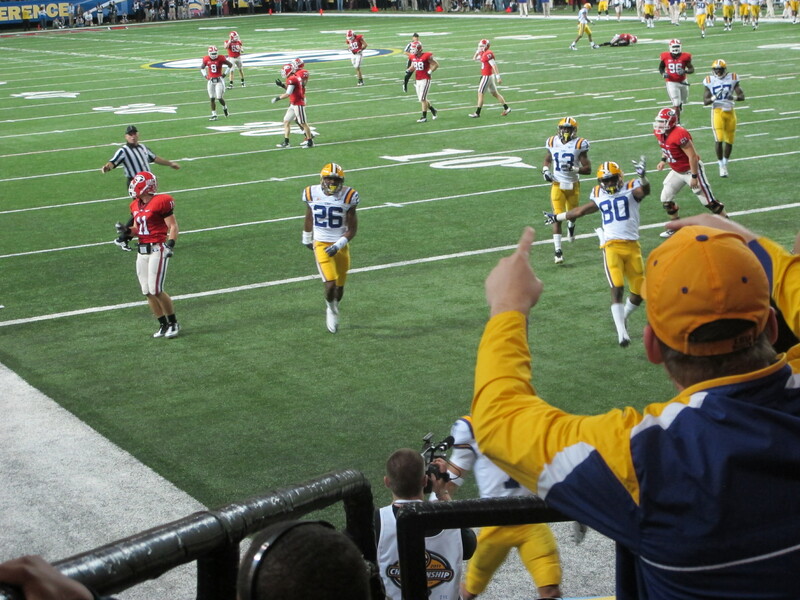 When I told him he would get to see LSU play in person, he lost it. He was super excited for the whole week. 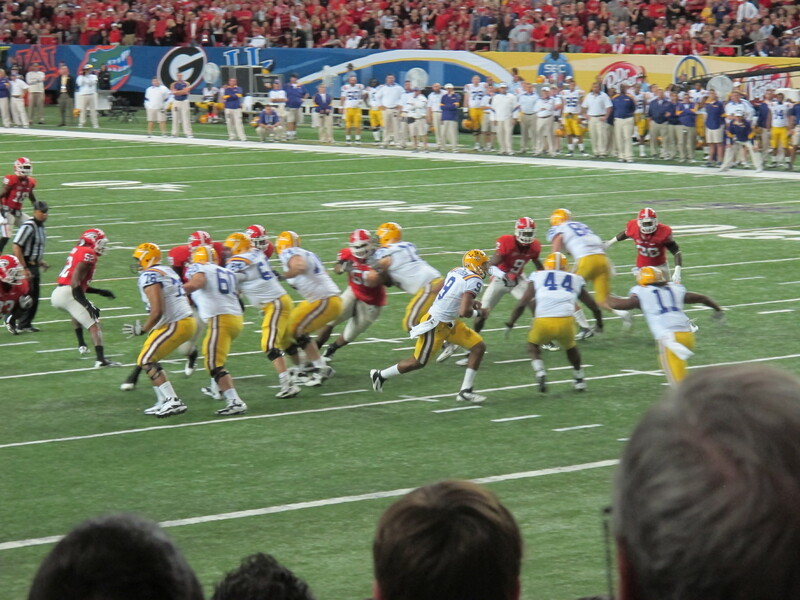 LSU put on a great show beating UGA 41-10 in the Georgia Dome to secure the SEC Championship title. 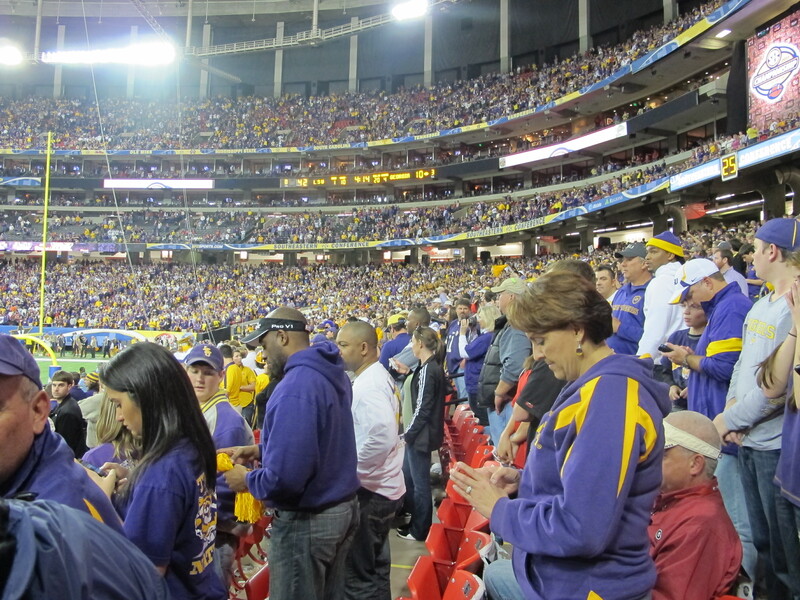 I was impressed at how the LSU fans were so vocal and really came out to support our Tigers. 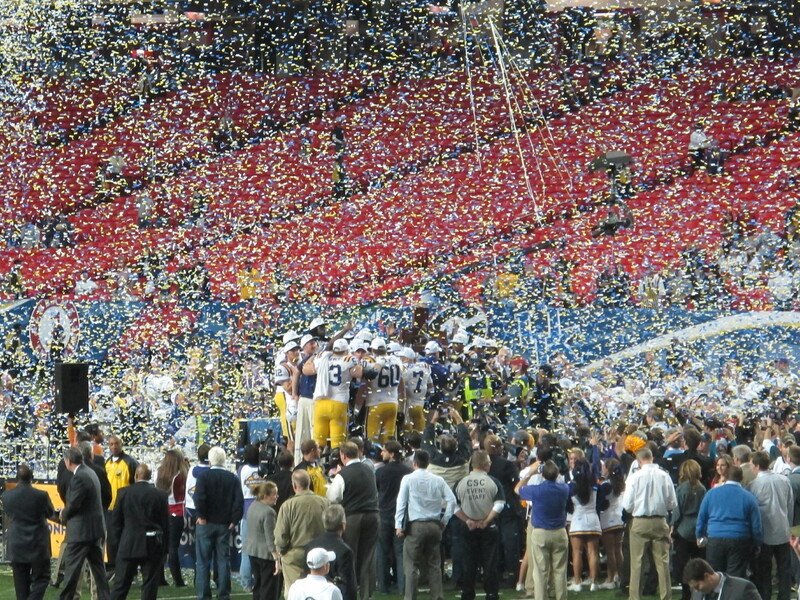 It felt like Mardi Gras in the Dome. 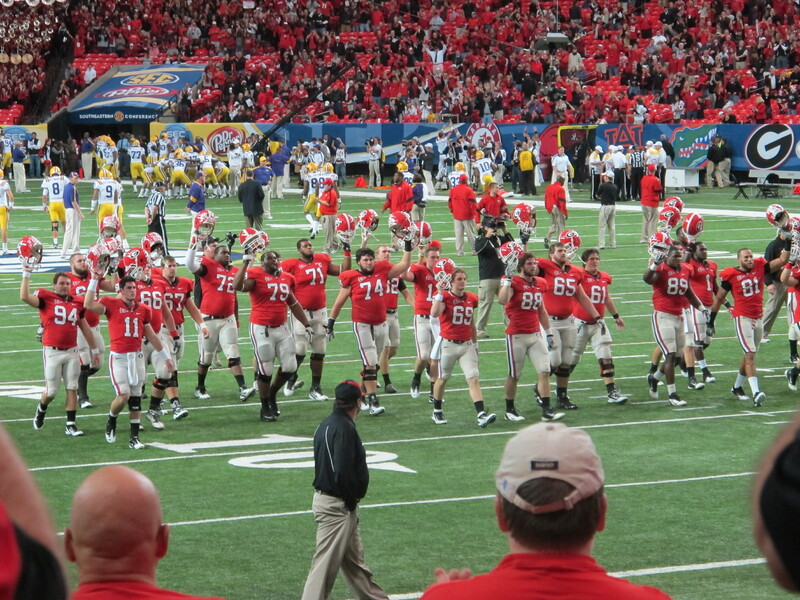 There was a lot of respect and friendly camaraderie between UGA and LSU fans. 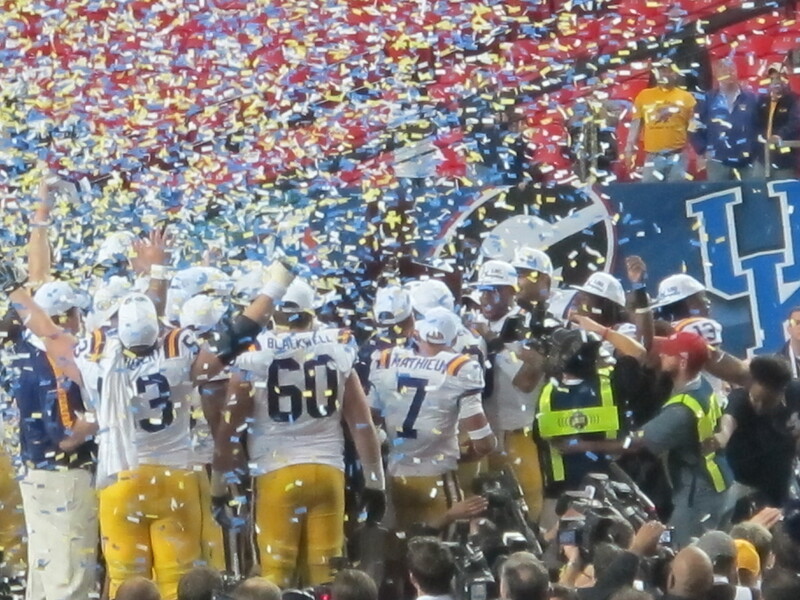 That’s part of what makes the SEC so great. 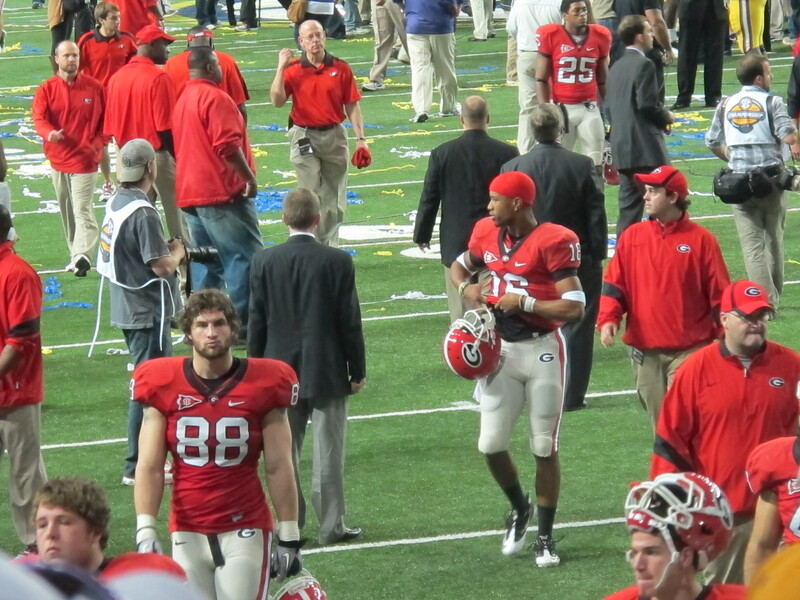 Being in the Dome together is an experience Mo and I will never forget. 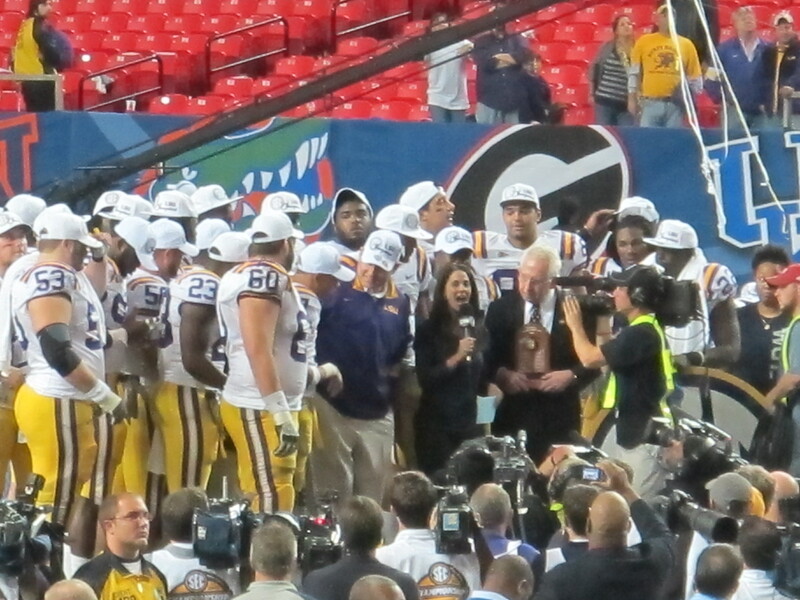 Couldn’t think of a better mother-son bonding experience than LSU football and winning a championship. 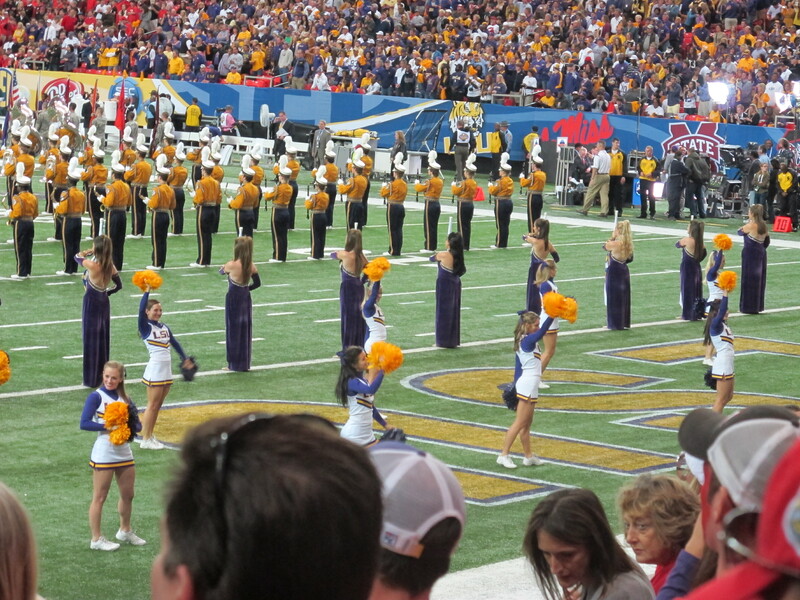 Awesome seats just 8 rows from the field. Mo was fond of the Golden Girls. 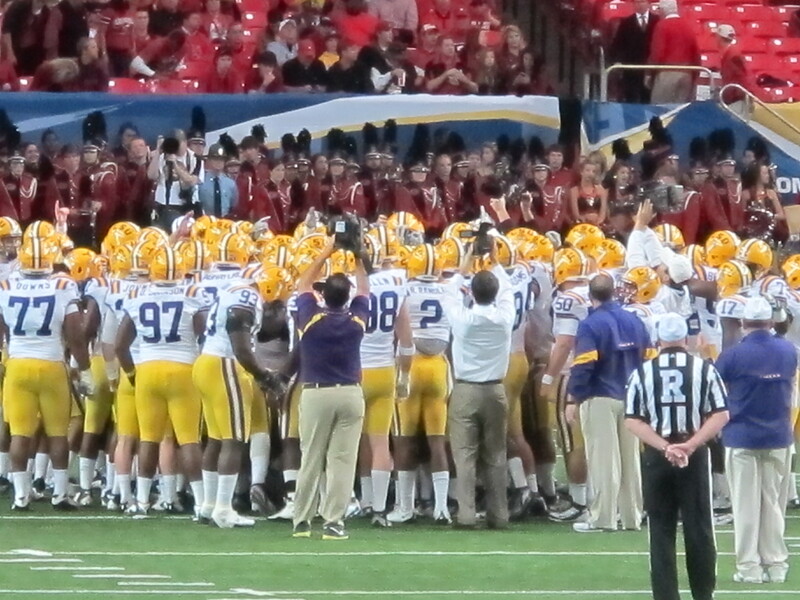 LSU was ready to rumble! 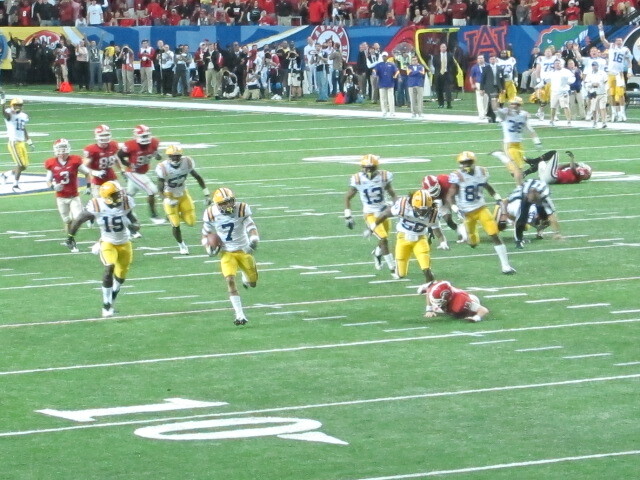 Heisman candidate AKA “Honey Badger” cruising on his game changing punt return. 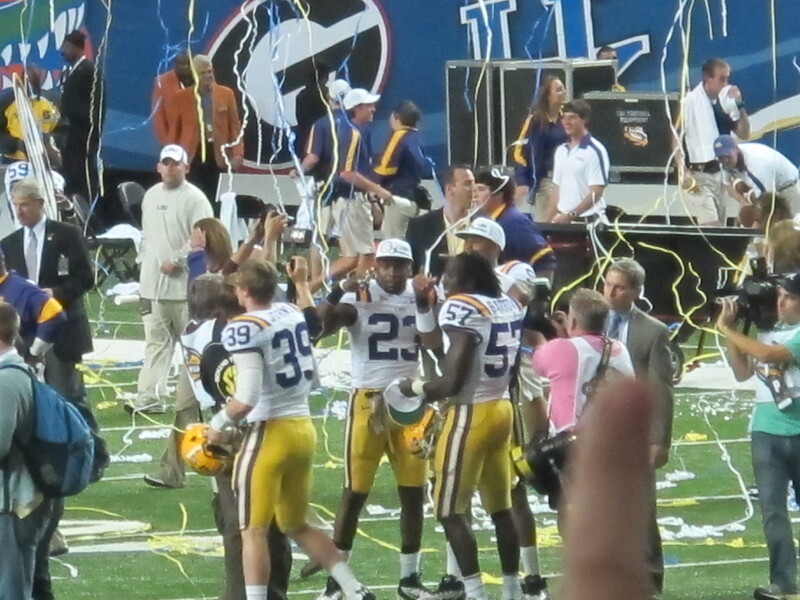 There’s always that ONE fan who messes up the perfect pic(blocking Tyrann’s head). 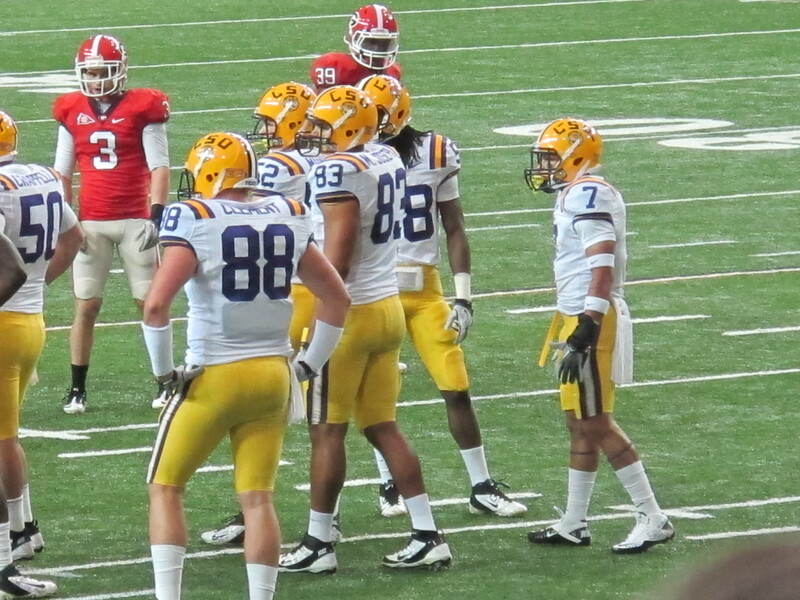 SMH #7 in the end zone. 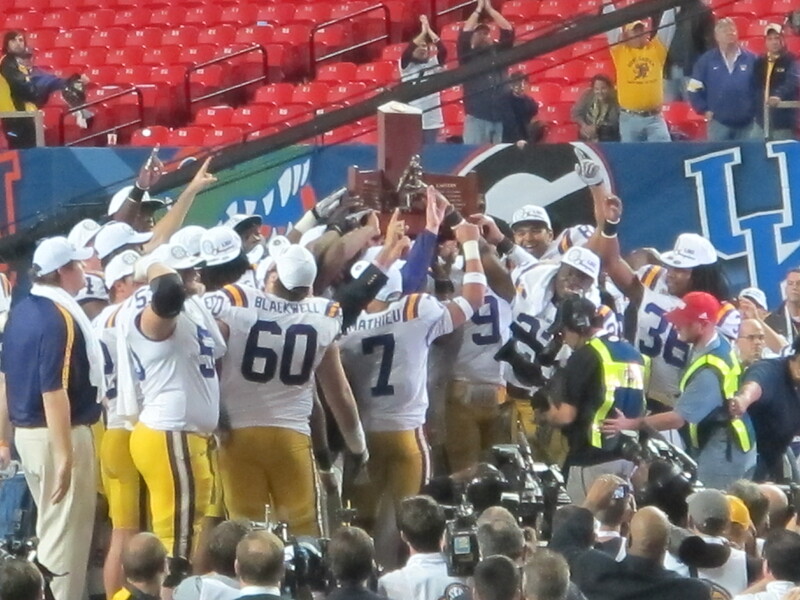 Congratulations to the 2011 SEC Champion LSU TIGERS!